A tidy kid’s room may sound to any parent as pure fantasy. But why should it be so?! Why the so widely and publicly admitted “truth”, most people simply put up with, that kids are messy and that making them keep their rooms tidy is a ‘lost battle’?! With just a few ‘tricks’ parents can successfully teach their kids that keeping their personal and private space clean and tidy is nothing but part of the home daily routine that every member of the family should be involved in. Living together, playing together, cleaning together. It’s that easy! 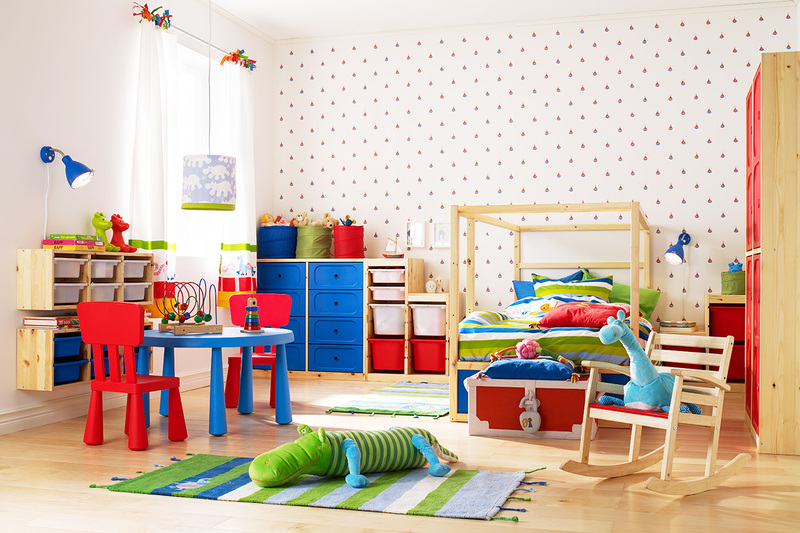 To start with, let’s check how well you have done with furnishing your kid’s room. A big wardrobe or a chest with heavy sticky drawers would be too difficult for a kid to handle. Folding closet doors may only cause accidents like pinching the little hands or fingers. High hanging rods in the closet or the wardrobe would be too difficult to reach. A wall-high bookcase with too many open shelves might look good in the parents’ room or in the living, but what is it doing in the kid’s room?! And what about the bed? Is it the right size? Is it at the right height from the floor? Have you found a way to use the space under it or have just left that place for the “Bogeyman” – empty, dusty, dark and scary? Have you picked the right color palette for the furniture in your kid’s room? Dark or rustic furniture is never a good idea for a child’s room. Too much furniture leaves no space for a playground! 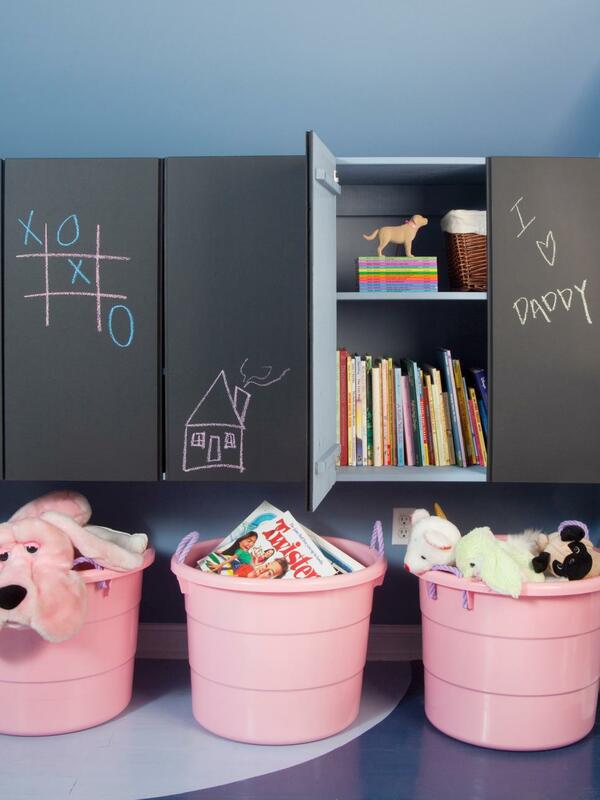 Provide built-in easy-to-access and closed-doors storage units; kids love to ‘hide’ things! If possible, add a couple of ‘non-traditional’ pieces of furniture, like an Indian tippy, a play tent, or a big doll’s house to create a best possible children’s environment. Most important! Always consult with your child on how to furnish his/her room! Now that we have the right furniture, let’s organize! Children’s rooms are usually small and often shared, which leaves not much space for all needed things. The ‘trick’ for having a tidier children’s bedroom is to declutter and organize regularly! # Clothes, toys, books, CD-s, … sort these well, and take away any out-of-season, out-of-size, or out-of-interest items. Never forget to involve your child in the process of sorting! These are his/her things, after all! Explain why sorting is necessary and ask for your child’s opinion on what should stay and what may go away. Discuss with your child the option of donating his/her old and outgrown clothes and shoes, as well as some old toys for charity, to make other children happy. # Sort all things left in the room on the ‘like with like’ principle. Start with general sorting: toys with toys, clothes with clothes, books with books… Then, narrow down the sorting to each of these groups: for example, toys: cars with cars, dolls with dolls, stuffed animals with such alike, etc. Take advantage of the sorting process to turn it into a fun game. Your child will love it! What’s a game now, will become a routine later. # Every now and then, especially after birthdays and Christmas, when new toys, clothes, etc. new “treasures” appear, it’s time to go through the sorting process again. The ‘trick’ here is to teach your child that less is more. Explain that he/she cannot possibly play with or use all his/her things – not enough time, anyway. Besides, with less stuff in the room he/she will be able to find things more easily. From time to time swap toys and other playthings left in the room with some of the stored away ones. The ‘oldies’ will become favorite again! After sorting is done, you might be still shocked with the amount of things that have to stay in the room. Don’t panic! The secret for having these in order is in using many and various storage containers. # Specialized organizers are perfect for sorting and storing magazines and comic books, video games, CDs and cassette tapes. 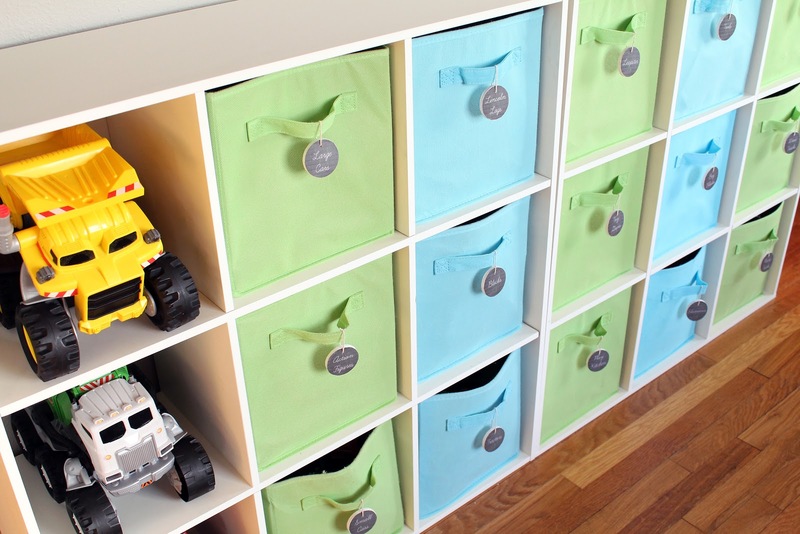 use containers of different colors for each of the sorted groups of items; this will help the child to not just find the favorite toy faster, but will teach him/her to better organize, too. stackable plastic box containers / racks are ideal for smaller rooms as they occupy less space and can store a lot. Place one or two thematic storage containers, like a “pirate treasure chest”, for example, for your son to keep his most valued “treasures” in it. He’ll love it and will gladly store things there. Everything sorted and nicely stored. Great! But where’s what?! In addition to storing things in containers of different colors, labeling is most helpful. Stack labels everywhere and for everything. If your child is still too young and cannot read, use funny pictures to identify the contents of this or that storage container. With a bit older children, you can already use word-labels, which however does not mean that no pictures should be used any more. The ‘trick’ is to make the labels as much fun as informative, too, and easy to recognize and understand. 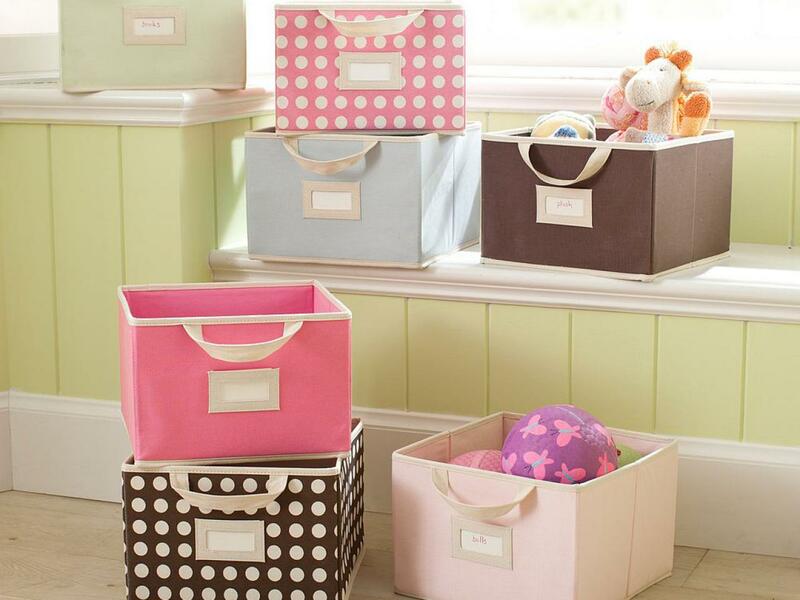 This will help the child to better organize and will simplify things when it comes to tidying the room. Now that we have the perfectly organized and tidy kid’s bedroom, there are a few more important things to never forget. > Buy less! – Don’t spoil your children with buying everything and anything they want. > Choose quality! – Higher quality items last longer and you won’t need to buy stuff too often. > Control! – Regularly control the amount of things in your kid’s room, as well as how they are handled. Be patient with the kids and show them as many times, as necessary the good side of having their things organized. They’ll learn … eventually! > Allow kids to mess! – Kids play and make a mess. Accept it! Through playing, they learn, so don’t stop them. And you don’t have to confine them to their room only, either! Allow them to play in some other rooms, too. The important thing is to teach them that after they have done with playing, it’s time to tidy and clean any mess they have made. > Teach while playing! – “Clean your room!” does not have to be a punishment. Instead, it may turn into a very pleasant activity for both, children and parents. A home for everything: Through sorting, storing and labeling, show your children that every item they own has its “home”. The Teddy bear left under the bed will be sad, so why don’t you take it “home”?! That sock in the box with trucks and cars is not feeling “at home” there. Where’s its home? A Happy Hour: Kids can play for hours! A good idea would be to introduce a ‘game’ within the game. Every hour (or so) stop them from playing, put some music on, and announce the “Happy Hour” – time, when everybody must tidy and clean their mess. Mom and Dad, too! You only have 10 minutes, so hurry up! There will be a lot of laughing and running around, but less mess! The Pickup Hour: To build a daily routine, and similarly to the ‘Happy Hour’ game, introduce a Morning Pickup Hour when everybody is to make their beds, pick up used clothes from the floor and/or chairs and take them to the laundry room, etc. An Evening Pickup Hour should also be organized, for example right before going to bed, and used to make children (and parents!) put away any stuff that is left out-of-place. So, as you see, having a tidy, organized and clean children’s room can be very real, as long as you show and teach your kids properly. Living together, playing together, cleaning together.